It's Friday! I'll keep the post today short and sweet. 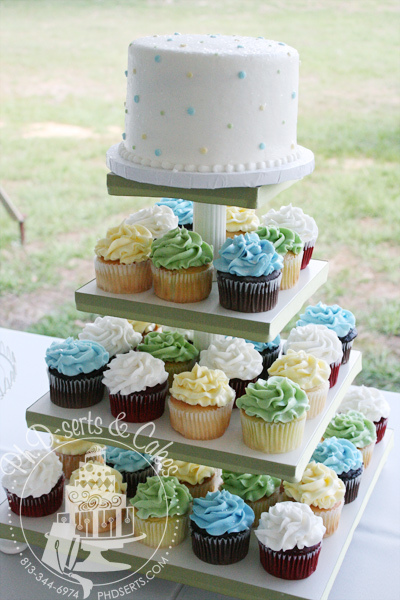 Here are some cupcakes we decorated for an outdoor wedding. The cupcakes were displayed on a stand made by the bride & groom and the top of the stand held their anniversary cake. 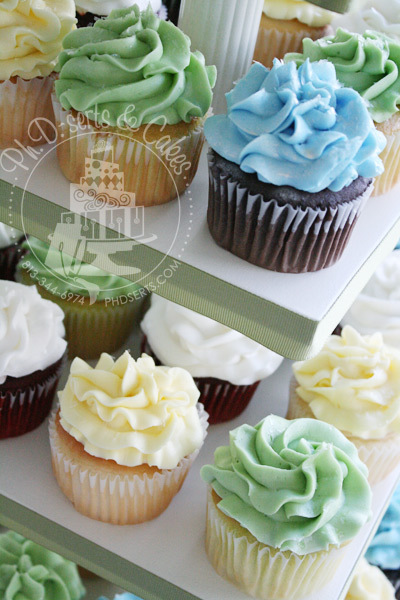 4 different cupcake flavors with 4 different pastel-colored icing swirls! Stay tuned to our Facebook Fan Page for a sneak peak of something special we're working on today!!! They're may even be a prize involved!